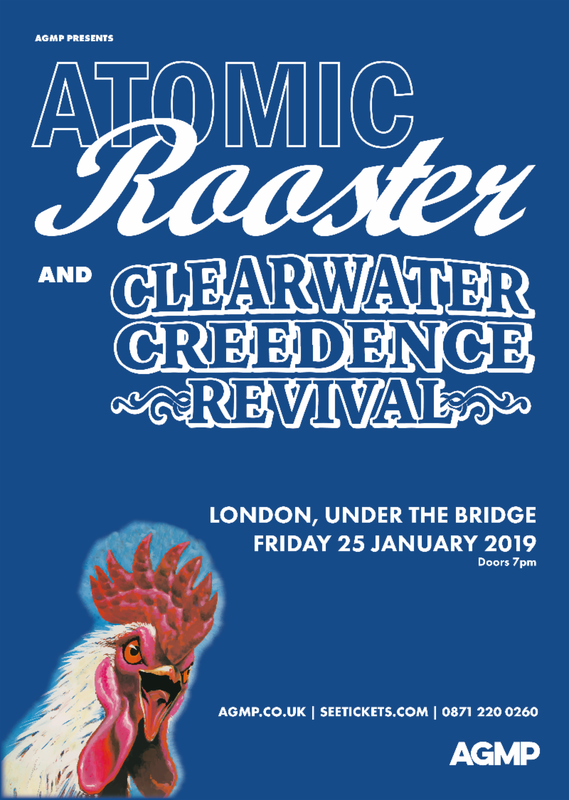 Atomic Rooster were formed from the ashes of the The Crazy World of Arthur Brown in 1969. Their debut gig was at the Lyceum in London (supported by Deep Purple) and their first self-titled album was released in February 1970. It was after the release of “Death Walks behind you” that they had their first taste of UK chart success with “Tomorrow Night” and “Devil’s Answer“. The band split in 1975 and briefly reformed in the early 1980’s. Main band member Vincent Crane joined Dexys Midnight Runners in 1985 for the “Don’t Stand me Down” album before he sadly passed away in 1989. Creedence Clearwater Revived perform the greatest hits of Creedence Clearwater Revival. After bringing the house down at Under the Bridge on their last visit the band are back by popular demand.